Blissful Woman On Tropical Caribbean Vacation Raising Arms To.. Stock Photo, Picture And Royalty Free Image. Image 36978712. 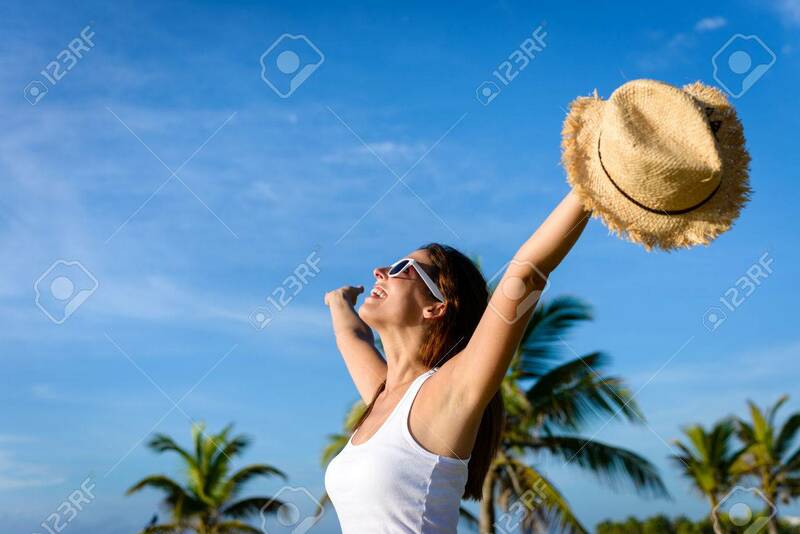 Stock Photo - Blissful woman on tropical caribbean vacation raising arms to the sky. Freedom and travel concept. Brunette woman enjoying summer holidays. Blissful woman on tropical caribbean vacation raising arms to the sky. Freedom and travel concept. Brunette woman enjoying summer holidays.